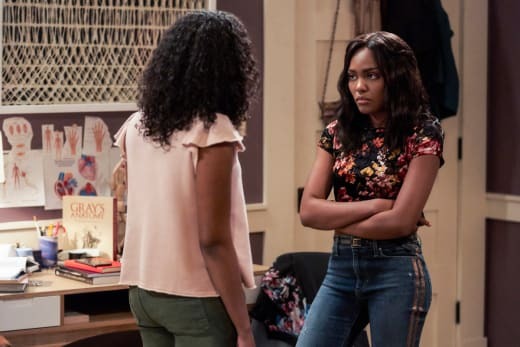 Anissa is fighting for her independence on Black Lightning Season 2 Episode 4. The empowered metahuman wants to use her gifts to take from criminals and give back to the poor. Plus, she wants to enjoy the recognition that comes from being a superhero. This is a complete contrast to Jefferson's mentality. The father/daughter duo have bickered over the appropriate way to handle the new responsibility and fame. Jefferson thinks Anissa is being reckless with her actions. Unfortunately, arguments are far from over between these two family members. Following rules is the topic of debate between Anissa and Jefferson Pierce. 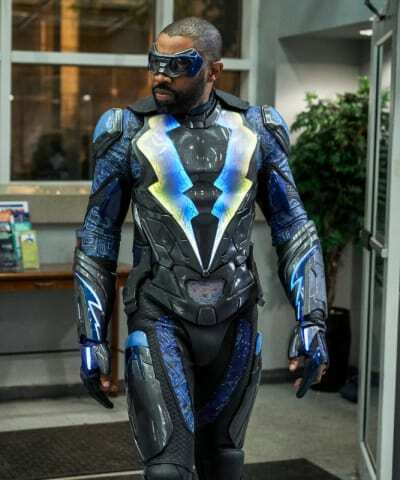 Based on the promo below, both Black Lightning and Thunder have their own sets of rules when it comes to being a superhero. Both of them want to help people, but they're not following the same standards. Anissa wants to make her own decisions and help out people in more meaningful ways. 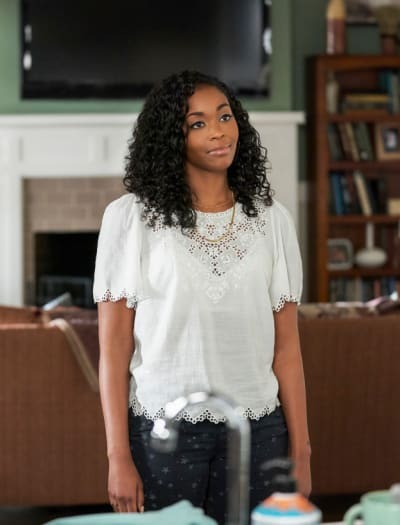 For instance, she took down a real estate criminal and gave the money to the church on Black Lightning Season 2 Episode 3. And that's only the tip of the iceberg for how she wants to live life as Thunder. Will these two ever see eye-to-eye? Jennifer's therapy sessions seem to have improved! In the short time working with Perenna, she has come a long way. There are a few quick clips of her harnessing her powers into a full solar ball. The energy only lasts a few seconds, but the spark is there. However, the real powers come much later on. Who is she blasting out of the window? Is that Khalil after he darted Lynn? Regardless of the target, the attack looked very effective! Jennifer is taking charge of her abilities and putting it to good use. We could be seeing the birth of Lightning before our eyes. Elsewhere in the promo, Tobias makes his grand declaration: he's going to burn down Freeland and everyone in it to find "him." Is the "him" he's referring to Black Lightning? Jefferson should watch his back. Tobias doesn't make idle threats he doesn't plan to keep. A war could be brewing between the crime lord and the superhero. Sparks are going to fly. 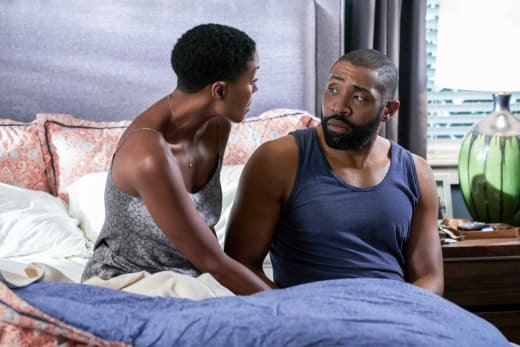 And don't forget, you can watch Black Lightning online via TV Fanatic to get caught up on all the action. We're only four episodes into Black Lighting Season 2; you can totally do it!